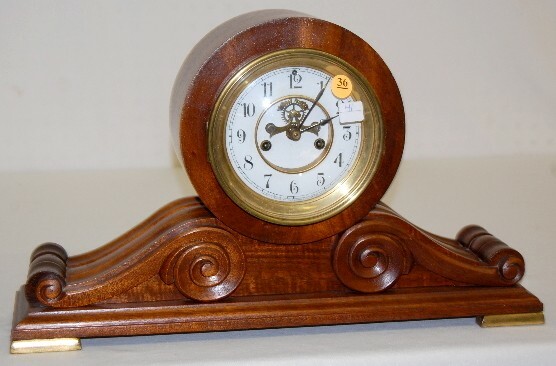 Waterbury "Kent" Scroll Case Mantel Clock has pendulum; porcelain dial with visible movement; 8 day; half hour strike; mahogany finish; brass movement marked Waterbury. (Faint crack and chip by the 6.) Running at this time. 10" x 18"